Obituary – Eby, Mabel (Warner) « Perry High School Alumni Association, Inc.
Mabel Warner Eby, 100, of Perry, Oklahoma, was the daughter of William Arthur and Edith Eugenia (Carrier) Warner. She was born October 17, 1912 in Perry, Oklahoma and died Wednesday, August 28, 2013 at her residence in Perry, Oklahoma. Mabel went to school in a one room rural school house “Pioneer District #40” until the 6th grade. She then attended school at Perry from the 7th grade through high school. 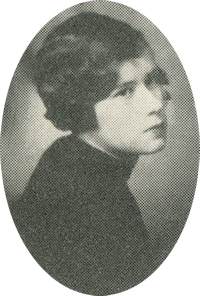 Mabel is a member of the 1929 graduating class of Perry High School. After high school she spent one year on post graduate studies in commercial subjects and a course in accounting by correspondence from Hill’s Business College. She married her best friend and sweetheart, Frank Winsor Eby on December 10, 1933 at the First United Methodist Church in Perry, Oklahoma. Frank preceded her in death on April 22, 1999. Mabel served as Deputy County Treasurer of Noble County thru three administrations. She then went on to work for Eby’s Cleaners as the company accountant. You could always count on Mabel and Frank to be riding a bicycle built for two in the Cherokee Strip Celebration. She also designed and helped build numerous floats for various organizations. One year Mabel sculpted a full sized horse made from chicken wire and tissue paper for the Ladies Tuesday Afternoon Club float. When Mabel was not enjoying time spent with her family and friends she volunteered at the Cherokee Strip Museum and caring for the plants at the YMCA. Her home was open every year for the Christmas Tour of Homes. Mabel loved working in the garden, making quilts, working puzzles, writing and doing art work. Mabel also taught a special art course that was government funded. Her favorite time of year was at Christmas and during the week long family vacations because she got to spend time with her family. Mabel had many honors bestowed upon her including the 2013 Woman of the Year for Xi Epsilon Rho chapter of the Beta Sigma Phi Sorority, Honorary May Day Queen in the Centennial Celebration, Perry Daily Journal “Woman of the Month” in August 1976 and the Sunday Oklahoman Golden Thimble for her original quilts and costumes. She was a very artistic and creative person who was known for her generosity and everyone loved spending time with her. 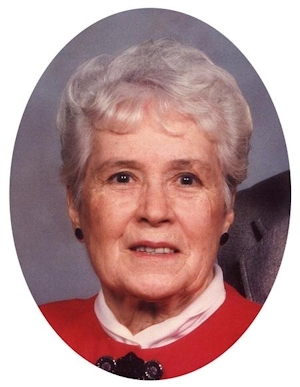 She was a life member of the Cherokee Strip Historical Society and Perry High School Alumni Association. Mabel was the founder and former member of the Ladies Tuesday Afternoon Club where she served as secretary and as president. She was a former member of the Marigold Garden Club where she served as president and a member of the Perry Golf and Country Club. Mabel also was in charge of the Art & Photography division of the Noble County Fair for several years. Mabel was an active member of the First Christian Church of Perry, Oklahoma. She founded a young adult Sunday school class at the Methodist Church. The members were college students, graduates, young married couples and singles it was called the TNT class (Teens-n-Twenties) which was later to become the Twenties-n-Thirties. That was one experience that she loved during her lifetime. She will be remembered for her love of Jesus and her love for the church where she spent many hours volunteering and being a part of its growth. Funeral services will be held 10:00 a.m., Saturday, August 31, 2013 at the Frist Christian Church in Perry, Oklahoma. Rev. Martin Foster will officiate. Interment will be at Grace Hill Cemetery in Perry, Oklahoma. Services are under the direction of Brown-Dugger Funeral Home. Mabel is survived by five children, Joy Alison Eby and friend, Carol Bushick of Anthony, New Mexico, Jay Winsor Eby and his wife, Marilyn of Prescott, Arizona, Anne (Eby) Scott and her husband, Charlie of Lantana, Texas, Frank William ” Bill” Eby and his wife, Gloria of Rogers Arkansas, James Edgar “Jim Ed” Eby and his wife, Margaret of Muskogee, Oklahoma; ten grandchildren, Tamie Bodenhamer and her husband, Hans of Kalispell, Montana, Jay Warner Eby and his wife, Kapu of Prescott, Arizona, Toby Scott and his wife, Jennifer of Jupiter, Florida, Andy Scott and his wife, Cathy of Sherman Oaks, California, Chad Michael Eby and his wife, Beth of Tallahassee, Florida, Shelby Rheam and her husband Brett of Rogers, Arkansas, Amanda Brown and her husband, Steve of Carrollton, Texas, Beth Plumlee and her husband, James of Muskogee, Oklahoma, Emily Eby of Denver, Colorado, Aaron Eby and his wife, Elizabeth of Edmond, Oklahoma; seventeen great-grandchildren, Noah Bodenhamer and Heather Bodenhamer both of Kalispell, Montana, Phillip Eby, Kirsi Eby and Lincoln Warner Eby all of Prescott, Arizona, Charlie Scott and Abby Scott both of Jupiter, Florida, Carter Scott of Sherman Oaks, California, Madelyn Ford, Dylangner Ford, Robbie Rheam all of Rogers, Arkansas, Zachary Eby of Carrollton, Texas, Hannah Jo Plumlee, Cole Plumlee and Connor Warner Plumlee of Muskogee, Oklahoma, Alison Maia Eby and Ashton Eby both of Tallahassee, Florida. She was preceded in death by her husband, Frank; her parents, Will and Edith Warner; granddaughter, Teresa Eby Rettich; brothers, Ray Warner and Edgar Warner; sister, Lucile Hirschman Plumer and Jennie Colbert.